Rediff.com » Business » Jio plans more disruptions: 5G enabled cars and drones! Jio plans more disruptions: 5G enabled cars and drones! Jio and Ericsson tested the limits of 5G by demonstrating multi-gigabit speeds and super-low latency capabilities that are making new offerings such as remote control of machines and 360-degree 4K video streaming. From driving a car in Mumbai sitting in the national capital to flying drones equipped with facial recognition capabilities, Reliance Jio on Thursday displayed potential uses of high speed 5G network technology. On the opening day of India Mobile Congress (IMC), richest Indian Mukesh Ambani's Jio -- the world's largest and fastest growing mobile data network -- together with Ericsson demonstrated trial 5G network to drive a car prototyped at Reliance Corporate Park (RCP) in Mumbai from a remote location about 1,388-km away at Aerocity grounds in New Delhi. It also had a 5G-enabled drone that could perform powerful security surveillance and identifying threats by monitoring from the sky on a real-time basis. According to Jio, the potential of 5G network, which could be as much as 10 times more efficient than 4G technology, could lead to a safe execution of human-led remote control of autonomous vehicles. It can significantly improve the safety of self-driving cars. Company officials said Jio and Ericsson tested the limits of 5G by demonstrating multi-gigabit speeds and super-low latency capabilities that are making new offerings such as remote control of machines and 360-degree 4K video streaming. 5G may just sound like an upgrade from the existing 4G network but, there is much more than what just meets the eye and it will quite literally revolutionise cellular networks and offer a seamless medium for communication, they said. It offers ultra-high speed internet, super capacity handling capability, the ultra-low latency for the tactile network, network slicing for better efficiency and utilisation of resources and Internet of Things. Demonstrating remote control of machine through 5G connection, a car connected over a live 5G network in IIT-Delhi was also made accessible at IMC booth about 12-kilometres away, for remote driving. Also, a car connected to 5G at RCP, Mumbai was controlled from IMC. 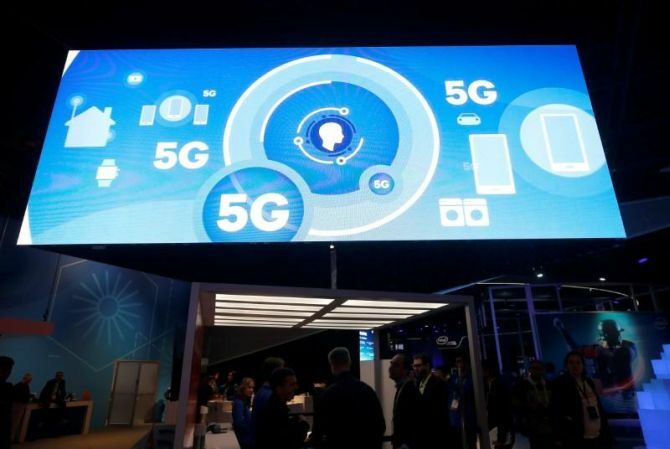 "5G introduces the ability to remotely control devices and heavy machinery, thus unlocking the potential for improved mission-critical applications in medical services, surgeries and industrial automation that would otherwise be unavailable," a company official said. "5G will also allow for operations of machines to be controlled in hazardous situations in order to keep human life safe." Also during the demonstration, Jio team conducted a 'blackout' test in which the driver operated the car while wearing a set of virtual reality glasses, relying solely on video captured from a camera on the hood of the car. A booth with a drone with 5G demonstrated how using facial recognition technology can help identify threats in a real-time basis. 5G technology is also used in telemedicine - a practice of using telecommunications technology to evaluate, diagnose and clinical care for patients at a distance. This includes patient consultations conducted through audio and video conferencing, remote diagnosis, remote monitoring of vital signs, real-time transmission of images and test results, health wearables, and transnational telemedicine, Jio officials said. "Within the next few years, we will be bringing consumers new augmented and virtual reality experiences on devices that don't even exist yet," an official said. "Thanks to the low latency and extreme bandwidth of 5G, these new experiences will be possible. “Not just 360 video and 4K quality, but new formats and devices not invented yet." Officials said 5G capabilities such as low latency and high data rates during the vehicle mobility, combined with augmented reality (AR), can enable new and innovative real-time applications and interactive services. In addition to mass market applications such as gaming, navigation, and education, adding AR on top of the real-world objects makes possible new innovations such as augmented assembly instructions (e.g. smart industries, e-education, medical training) and so-called 'x-ray vision'. Will Jio manage to grab 400 million subscribers by 2020?